Henry Marten, the regicide, was the son of Sir Henry Marten Senior of Longworth House, a judge of the Admiralty Court, and his wife, Elizabeth, whose maiden name appears to have been Weld. He was brought up at Longworth and Oxford, and was educated at University College. Henry's first wife was Elizabeth, the daughter of Richard, Lord Lovelace of Hurley. After her death, he promised his father that he would marry Margaret, the widow of William Staunton and daughter of Francis West, a Citizen and grocer of London. Henry did not much relish the match and was only persuaded to follow through, in 1635, when his father bought them Beckett House in Shrivenham as a wedding present. His new wife was soon installed there, but Henry preferred to live in London with his mistress. Soon afterwards, in 1639, he rose to public awareness when he refused to contribute to a general loan and, the following year, he entered Parliament as one of the Berkshire MPs. As a prominent member of the house, Henry was thence kept largely in the city. After his father's death, in 1641, his wife moved to Longworth House, but, when her husband visited Berkshire, he is said to have hidden out at their secondary estate at Hinton Manor. Despite this peculiar state of affairs, the couple apparently had at least seven children together. Marten's keen wit, his plainness of speech and his courageous honesty soon made him a conspicuous man in Parliament. Being naturally a hater of the Royal Court, he developed into a red-hot republican at the very beginning of the Civil War, when few thought of overthrowing the Monarchy. 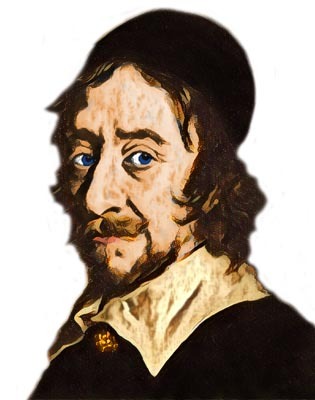 As early as 1643, he advocated the destruction of the Royal family, an expression of opinion which shocked the political feeling of the House of Commons as deeply as his loose life shocked its Puritanical conscience. Marten was excluded from Parliament for three years but, when readmitted, he proclaimed his extreme views as boldly as ever. When the Levellers arose, he became one of their leaders and, being among the fiercest advocates of the King's execution, he was, of course, a signatory to his death warrant. Under the Commonwealth, he naturally played a prominent part, but his loose morals, his distrust of Cromwell's designs and his lack of practical ability debarred him from obtaining any great influence. Finally, in 1655, his profligacy culminated in bankruptcy. He was outlawed, and vanished from public life until the Long Parliament reassembled. He sold his Beckett estate to his friend, John Wildman in 1657 (NOT to Sir George Pratt in 1652, as sometimes recorded). Having failed to avert the Restoration, he refused to fly from it. At his trial he renounced none of his principles, but answered the judges with his usual readiness and courage. Though condemned to death, the King spared his life and, after short spells at Berwick and Windsor, he spent the remainder of his long life in prison at Chepstow Castle.